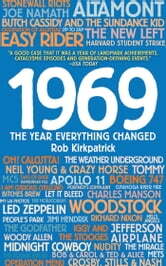 In 1969, man landed on the moon; the “Miracle Mets” captivated sports fans; students took over college campuses and demonstrators battled police; America witnessed the Woodstock music festival; Hollywood produced Easy Rider; Kurt Vonnegut published Slaughterhouse-Five; punk music was born; and there was murder at Altamont Speedway. Compelling, timely, and a blast to read, 1969 chronicles the year in culture and society, sports, music, film, politics, and technology. This rich, comprehensive history is perfect for those who survived 1969 or for those who simply want to feel as though they did.